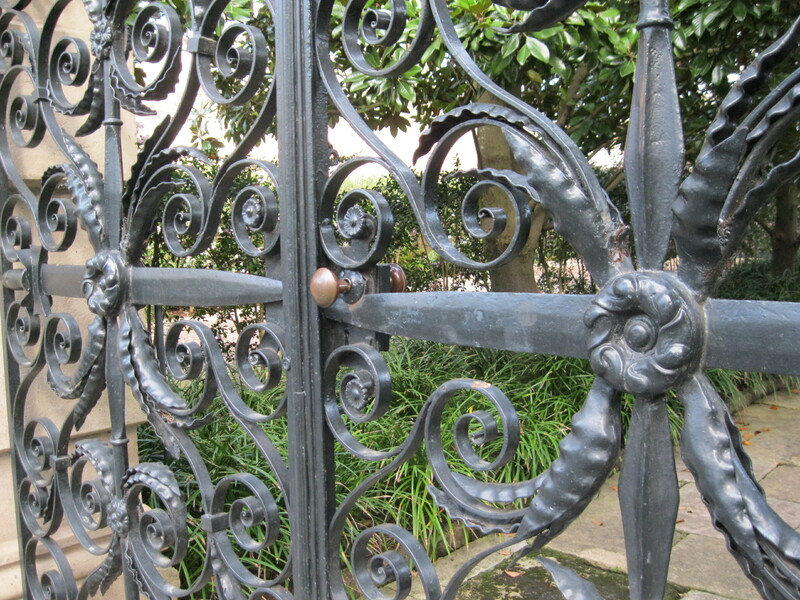 I am frequently asked by tourists about “the man who did all those iron gates in Charleston” – a reference to the misconception that Philip Simmons is the only name to remember in local ironwork. 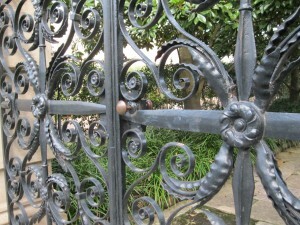 Although Mr. Simmons was an excellent ironsmith, and has created numerous gates throughout the city, Charleston’s greatest ironsmith in my opinion was Christopher Werner. 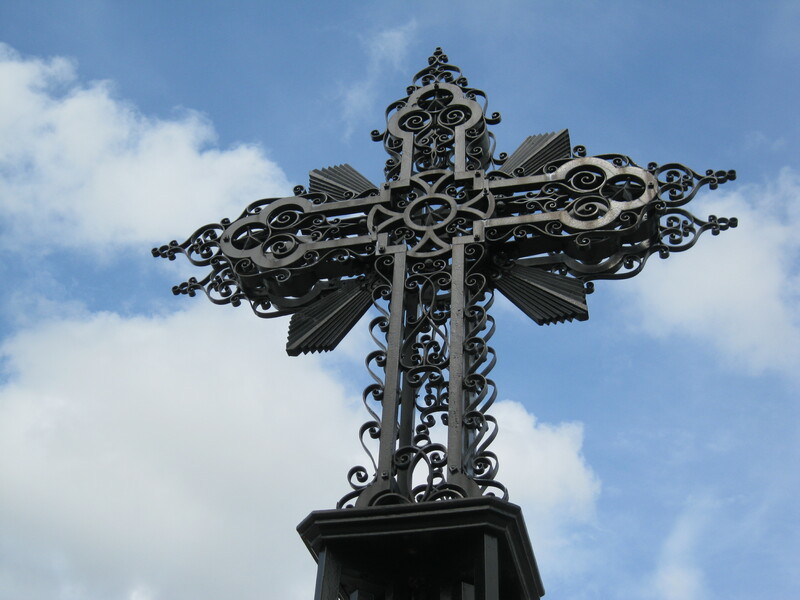 The German-born Werner created gates that are still marvels today, most famously the grand Sword Gate at 32 Legare. His incredible skill adorns numerous famed locations, such as the John Rutledge House, the Otis Mills House, as well as Hibernian Hall and St. Lawrence Cemetery. The Sword Gate is most notable as being a mistake, as Werner was commissioned by the city to add a pair of gates to the Guard House at Meeting and Broad in 1839. Werner understood that the two swinging halves constituted a gate, and made two full sets, while the city considered each half a gate, and only bought one set. The second was purchased by George Hopley, who added it to the large brick wall in front of his home at 32 Legare Street, where it has dazzled onlookers ever since. Not bad for a mistake! 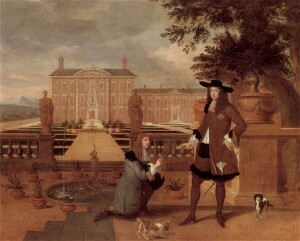 The pineapple’s role as a symbol of hospitality can be traced to this 1675 painting of King Charles II. He is on the left, receiving a gift of the first pineapple grown in England by his royal gardener, John Rose (what a perfect name!). The fruit originally came from the New World, and is known scientifically as Ananas Comosus, but looked so much like a pine cone, it got the common nickname, although it’s neither a pine nor a cone. It actually is a bromelid, and is in the same plant family as Spanish Moss. Because of its healthful qualities as a cure for stomach issues, and its unusual look, this famously painted presentation helped inspire the placing of a likeness of the fruit on a gate post as symbolic of a welcome, hospitable gesture. Today, the city of Charleston has an enormous pineapple-shaped fountain overlooking the harbor, symbolizing that Charleston welcomes people to the city.